Owners of rear and mid-engine cars like Boxsters and Beatles have always loved to drive into gas stations and ask the attendant to check the oil and now the 2013 Nissan Leaf joins in the fun. Back in the days of wooden ships and iron men, the place we now call a “gas station” was called a “Service Station.” With the advent of electric cars it is likely we will shift back to that expression over time. Yes, electric car owners need coffee and the rest room too, and they also like to scrape the June bugs off a windshield now and again. 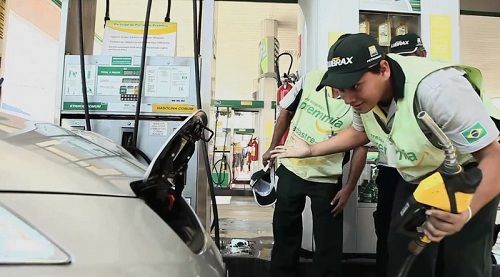 The video here from a Nissan press release shows a 2013 Nissan Leaf poking fun at some Brazilian service station attendants. As funny as this video is it does sort of highlight that 99% of the “Gas Stations” in America are now strictly self-service. Yes, New Jersey and a few communities here and there still mandate that an attendant crash the nozzle into our paint and then pull the nozzle out dripping gas onto our car’s clear coat, but in all but the most socialist of US communities we have all learned that operating a gas pump is risk-free, quick, clean, and easy. The fact that Nissan had to go to another continent to film this proves the point that gasoline power is pretty mature in the US and that it is really the electric cars that are a hassle to power up. As electric cars like the 2013 Nissan Leaf, the Chevy Volt, and the exotics like the Fiskers and Teslas propagate and the drivers of these rigs need a service station the question is will they be welcome? Will there be a backlash by petrol pushers? Might we see “No electrics need apply” sign in windows? Maybe a “Buy your gas and pee for free” sign hinting that those using electrons should seek their own areas in which to “rest.” Not likely. On the contrary, gas stations will likely start to offer emergency charging systems and possibly even a “Gas-can” full of electrons a user might borrow to charge up an electric that has run out just up the road. The 2013 Nissan Leaf points out that the propulsion system of our cars isn’t the only thing about to change. Or maybe they'll buy their own squeegee... And a bottle of Windex. One thing's sure - they won't need to change the oil - EVER!! !